← What Warehousing Services Does 3PL Links Offer? Logistics is the chain of processes and events involved in moving a finished product from the manufacturer to the customer. 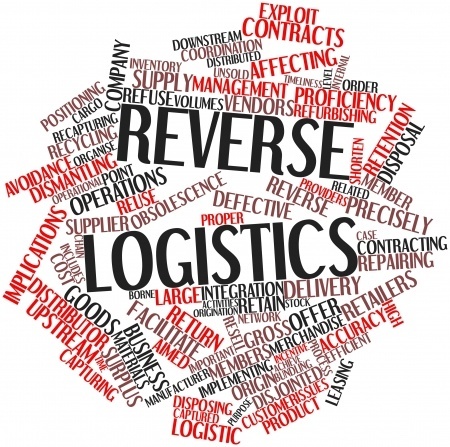 So what is reverse logistics? 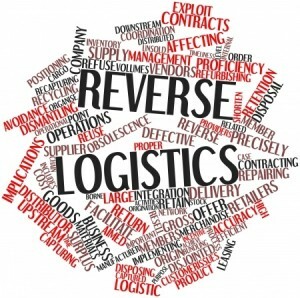 Reverse logistics is backward logistics. It involves the movement of goods from the customer back to the manufacturer. This usually happens when the product is defective or when the product has been recalled because of some glitch. Customer Support: This is the first process in reverse logistics and involves providing support by phone, e-mail, online chat and other means. The purpose is to keep the communication line open for customers who may want to repair or return the defective product they have purchased. Receiving the Product: The manufacturer may recall defective products (through its retailers) or the retailer may accept the defective product returned by the customers. The customer may bring back the product personally, send it with someone or send it by mail order. Sometimes, retailers or manufacturers also pick up the product from the customer”s location. Transporting the Product: The recalled or the returned product is sent back to the manufacturer. This may involve a single step (retailer to the manufacturer) or multiple steps (retailer to the dealer, to the distributor to the manufacturer). Depending upon the type and weight of the product and the distance to be moved, the mode of transportation may be land, air or sea. Warehousing the Product: Once the product arrives at the manufacturer”s facility, it is tagged, tracked and stored in a warehouse along with other returned products. A warehouse is a large storage space and is usually equipped with devices for tagging and tracking the stored goods. Sorting the Products: The products are sorted, or triaged (to use the proper term), on the basis of their condition and quality. Products than can be repaired are sent to the appropriate department for repair. Products that cannot be repaired are either sold off at a much lower price as defective products or sold as scrap. Repair: If a returned product has been found to be good for repair, it is repaired and then either sent back to the customer or sent back to be resold to another customer. Sometimes, products are refurbished and sold at high markups, generating profit for the manufacturer. Takes the Load Off: The third party logistics provider handles the entire processes of reverse logistics, freeing the manufacturer, retailer and others involved in the supply chain. This lets them concentrate on manufacturing, logistics, marketing and selling of products. Reduces the Risk of Loss: Returned goods are often a source of loss because the risk of obsolescence (the state of being obsolete). Obsolete products have to be either sold at steep discounts or sold as scraps. Manufacturers can reduce the risk of loss by transferring it to third party logistics providers. No Need to Worry about Waste Disposal: A significant portion of goods that have been returned need to be disposed as waste materials. The management of waste is often problematic because of ever tightening regulations. You can let the third party logistics providers worry about it.